I have to admit that I love watching DIY shows. They make it look so easy, but how often does reality TV not reflect reality? When should you try to do it yourself or call a professional plumber? In an article on via king5.com, you can see how many of the DIY projects start and end. As a reformed do-it-yourself (DIY) plumber, I humbly admit my work is disastrous. My wife was complaining about a leaking faucet in our bathroom. Being the manly man I fancy myself, I reassured her, “Don’t worry, Honey, I’ll take care of it.” I set out for Home Deport feeling pretty confident. After all, how hard can it be, especially after watching a pipe repair video on YouTube? After about an hour of wrenching and grunting (manly activities, for sure), I proudly told my wife to turn the water back on and watch in amazement at the result of my new skill. She was amazed alright as water was spurting all over me and half the bathroom. DIY plumbing is tricky and can become a bigger disaster if you don’t know what you are doing. As expert plumbers, we have rescued some DIY fails. According to the lifehacker.com article, “Which Home Improvements Can I DIY and Which Should I Leave to a Pro?” Plumbing isn’t always as straightforward as one might think. Electrical (to me) is pretty straight forward. You just have to know which place to hook up the two wires, and avoid getting shocked. 🙂 Plumbing on the other hand requires (IMO) more knowledge, and definitely more tools than electrical work. For example, it’s not difficult to fix a toilet or put in a new faucet, but anything more than that is beyond my ability. One thing can be said about water — if there’s a way out, water will find it. The very smallest leak can lead to thousands of dollars worth of damage if it’s not caught in time. If you’re a capable do-it-yourselfer and there’s existing plumbing in place, you can probably manage some minor repairs like changing a shower head or replacing a faucet. 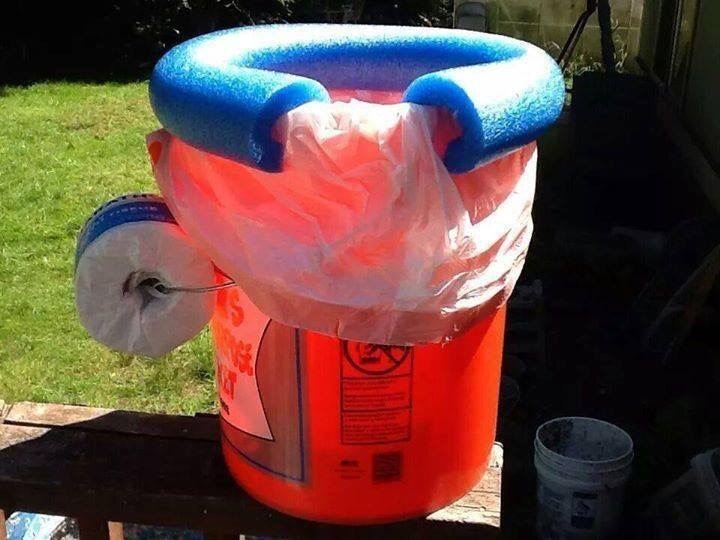 Even installing a new toilet is within the realm of a capable DIY-er (just make sure you have a tight seal). Where you can get into trouble is if you try to modify your plumbing system — extending hot water lines or re-routing your sewer pipes. Working with hot water means copper pipes, and that requires a blow torch. Unless you have some serious welding experience, it’s best to leave the torch jobs to the professionals. While this isn’t as dangerous as electric work, plumbing problems can get out of hand fast and lead to an expensive and wet future. For small plumbing issues like a leaky faucet or a backed up sink, DIYing it is doable. We at Master Repair Plumbing can fix your DIY blunders and the bigger jobs you don’t feel comfortable tackling. If you’re planning on doing DIY plumbing, you might want to stick to an easy project like this.